Rob Kardashian allegedly physically threatened Pilot Jones who was pictured kissing his finacee. According to TMZ, Law enforcement sources told them that they got the allegation and are now investigating it. We're told Pilot is scared, partly because of a string of text messages, which include Rob telling Pilot, "Leave my wife alone. I'm not playing with you." 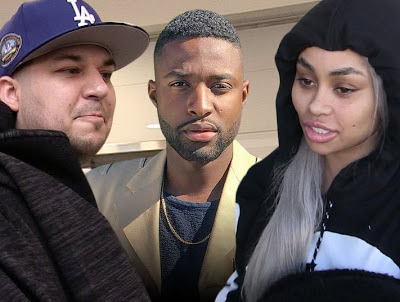 Our law enforcement sources say, there are other texts in which Rob generally threatens Pilot with physical harm if he doesn't stay away from Blac Chyna, although as one source says, the threat is "a little murky and general."